If there is one lesson that Laura Akunga will learn properly is to never publicly display your wealth. After showing off her wealth by gifting her husband a Kshs. 10 million SUV, Laura is being pursued by a businessman who claims that the lady conned him Kshs. 17 million. The Asian businessman Mr. Sriram Bharatam of Iridium Interactive has file a case in court to sue Laura for fraudulently obtaining $17, 894 in 2013. When blogger Robert Alai mentioned that the Lady has been living a lie, no one believed him, as it turns out, Laura has been lying to Sriram than she had loans to pay and he lent her some money to settle the loans which was never to return. “On or about the month of January 2013, Akunga experienced financial difficulties. Family Bank had sought to recover a loan of Sh40million which she had guaranteed somebody, who had defaulted. “Since she is known to me, I decided to lend her $50,000 (Sh4.9 million) in cash because there wasn’t enough time to do a bank transfer. 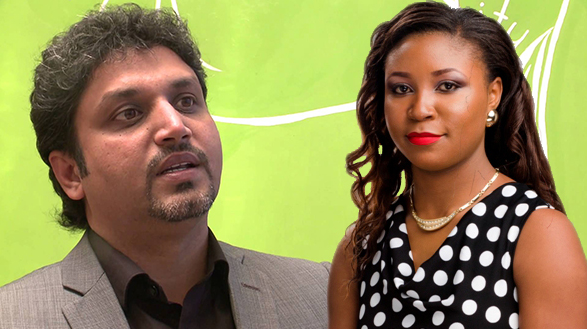 According to her, she had been given 48 hours within which to clear the Sh40 million loan she had guaranteed someone,” says Sriram in his affidavit. “Laura had indicated to me that her company, Benchmark Solutions, makes around Sh80 to 90 million in revenue, but when I asked for financial records, she kept on giving flimsy excuses. I later gathered that the company only makes between Sh6 and 8 million in revenue. In an effort to get the money back, Mr Sriram has been met with an unswered calls and fall through appointments and he has decided enough is enough.